In Japan of 1852, the peace imposed by the Shogun has lasted 250 years. Peace has turned to stagnation, however, as the commoners grow impoverished and their lords restless. Swords rust. Martial values decay. Foreign barbarians circle the island nation’s closed borders like vultures. 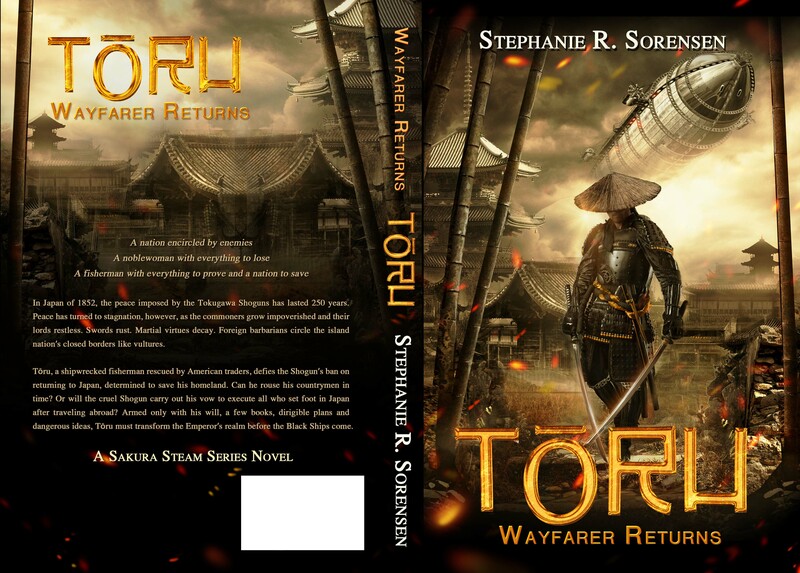 Tōru: Wayfarer Returns is the first book in the Sakura Steam Series, an alternate history of the tumultuous period from the opening of Japan in 1853 to the Meiji Restoration in 1868. This alternate history steampunk technofantasy set in 1850s samurai-era Japan was released February 16, 2016 in hardcover, paperback and digital forms. We plan an audio version as well for early 2017. Check out awards and reviews for Toru here. Download Toru: Wayfarer Returns sell sheet here. For the digital, paperback and hardcover versions of Toru: Wayfarer Returns, check us out at these fine etailers, as well as Kobo, iBooks and many others we are still working on the buttons for! For the paperback and hardback versions, you can order us old school through any independent bookstore or Barnes and Noble as well. We want to support other Colorado Authors as well, so find all the great authors writing in Colorado at the newly launched Colorado Literary Network site.